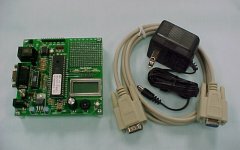 MICRODESIGNS is pleased to be working with Dr. John Peatman of Georgia Tech by offering assembled QwikFlash development boards and accessories which can be used in an upper-level university lab or class in support of his newest textbook Embedded Design with the PIC18F452 Microcontroller. Click on a link below for additional information. 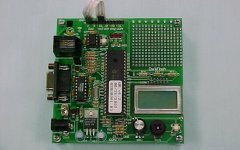 QwikFlash Development Kits - Kits combine a QwikFlash board with accessories and optionally an expansion board. This kit provides the essential components for QwikFlash development. The QwikFlash board developed by Dr. Peatman and his Georgia Tech students is a compact microcontroller demonstration board with on-board resources that are found in many real-world applications. 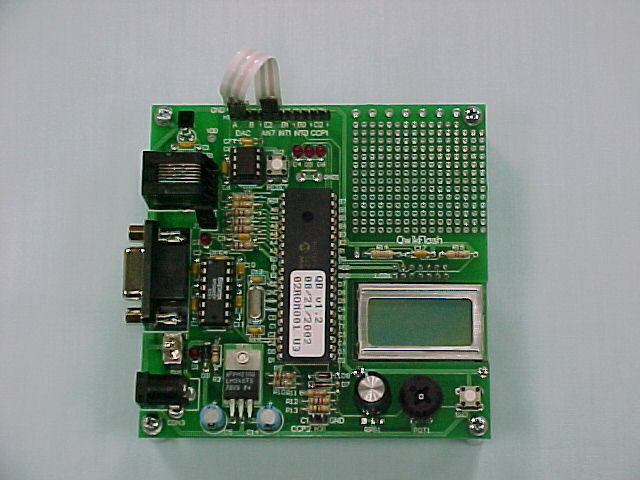 MICRODESIGNS offers QwikFlash as a fully assembled and tested board assembly with a programmed microcontroller. The microcontroller at the core of QwikFlash is Microchip's PIC18F452 microcontroller, a member of Microchip's newest microcontroller family, the 18 family. The 18F452 uses flash -- not EPROM -- memory for program storage, so it's quickly and easily programmed without having to be removed from the QwikFlash board. The 18F452 is programmed with QwikBug, Dr. Peatman's microcontroller-resident debugger, which can be used with a terminal emulation program on a PC to create a simple, but real-time, program development and debugging environment without the need for expensive emulators. The user can create a program for the PIC in Microchip's free MPLAB development environment and then download the resulting hex file to the QwikFlash board through QwikBug and the terminal emulation program and debug it using QwikBug. While QwikFlash is compatible with Microchip's ICD2 low-cost in-circuit debugger, most users will find that QwikBug is more than adequate for most university lab courses. QwikFlash is provided with a performance verification target application already downloaded into the PIC so the user can watch the PIC work right out of the box. 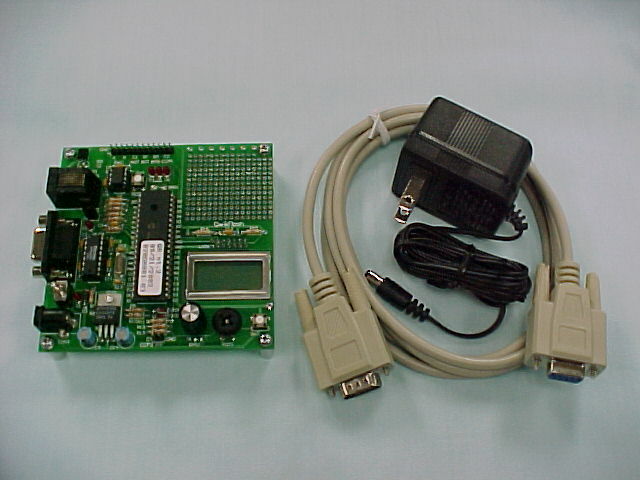 The QwikFlash board contains a built-in expansion header that permits it to be easily connected via ribbon cable to a QwikProto or QwikBreadboard 400 prototyping board for implementing lab projects that expand on QwikFlash resources. 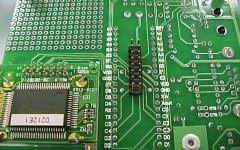 If you are handy with a soldering iron and prefer assembling your QwikFlash yourself, you may purchase an unassembled PC board and parts kit, or just the blank PC board alone; see the How to order section. For more information from Microchip on the 18F452 microcontroller, click here. 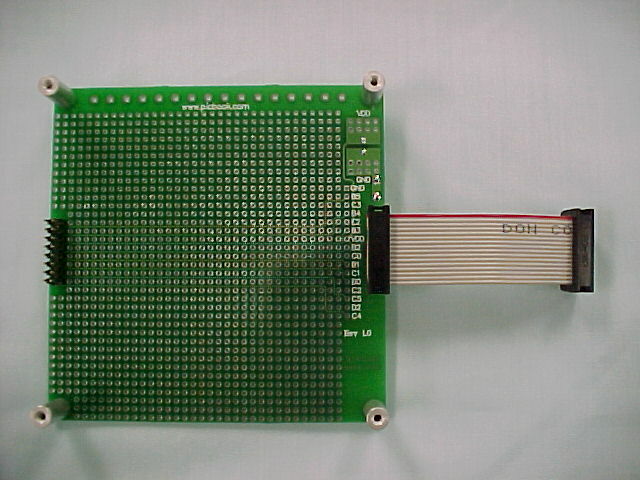 The QwikProto board developed by Dr. Peatman and his Georgia Tech students is an expansion and prototyping board that can be easily connected to the QwikFlash board via a ribbon cable. Through the ribbon cable, power and ground are supplied by the QwikFlash board along with 14 of the 18F452's I/O lines and all the expansion signals are routed to a 16-pin header site on the board. 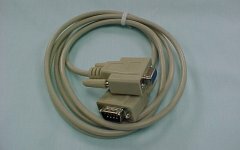 QwikProto provides power supply decoupling, an additional ground connection for debugging and a second expansion header in case expansion beyond a single QwikProto is desired. 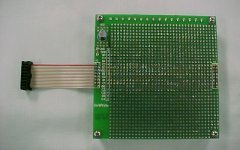 MICRODESIGNS offers QwikProto as a fully assembled and tested board assembly with a 2.75" ribbon cable for connection to the QwikFlash board. 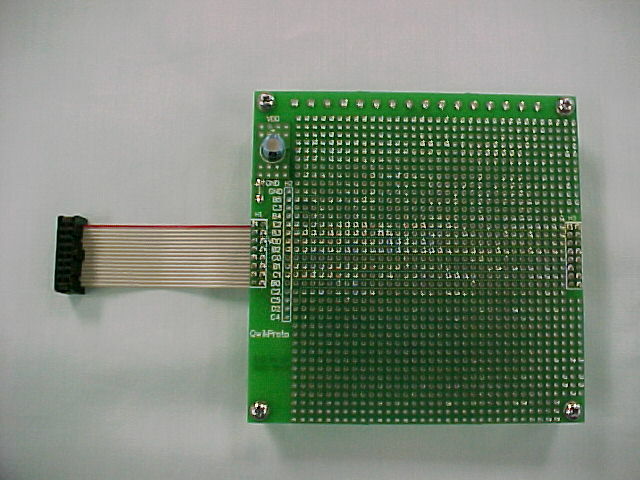 The QwikBreadboard 400 board is an expansion and prototyping board that can be easily connected to the QwikFlash board via a ribbon cable. The QwikBreadboard 400 provides a 400 point solderless breadboard for quick prototyping and easy re-use. 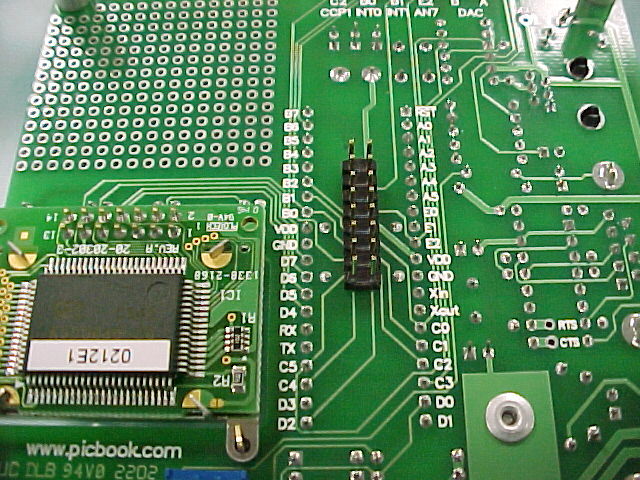 Through the ribbon cable, power and ground are supplied by the QwikFlash board along with 14 of the 18F452's I/O lines, and all the expansion signals are routed to a 16-pin female header on the board for easy connection to the breadboard. 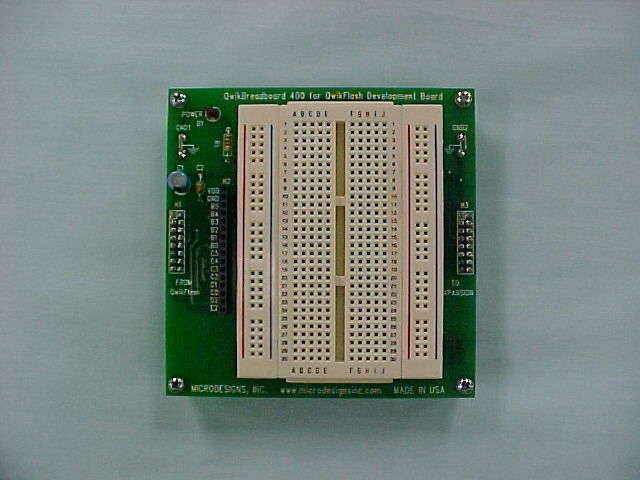 The breadboard supports 0.3", 0.5" and 0.6" wide DIP integrated circuits. 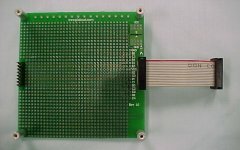 QwikBreadboard 400 provides enhanced power supply decoupling, a power indicator, an additional ground connection for debugging and a second expansion header in case expansion beyond a single QwikBreadboard 400 is desired. 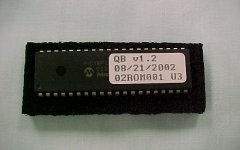 MICRODESIGNS offers QwikBreadboard 400 as a fully assembled and tested board assembly with a 2.75" ribbon cable for connection to the QwikFlash board. 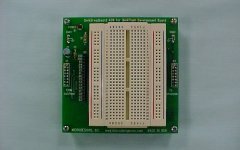 For those who prefer to build a QwikFlash board themselves rather than purchase an assembled and tested board from MICRODESIGNS, we offer a programmed PIC18F452. The 18F452 is programmed with QwikBug, Dr. Peatman's microcontroller-resident debugger, and the QwikFlash performance verification target application already downloaded into the PIC so the user can verify proper QwikFlash operation without having to write an application program. The wire jumper set is for use with the solderless breadboard on the QwikBreadboard 400 expansion and prototyping board. 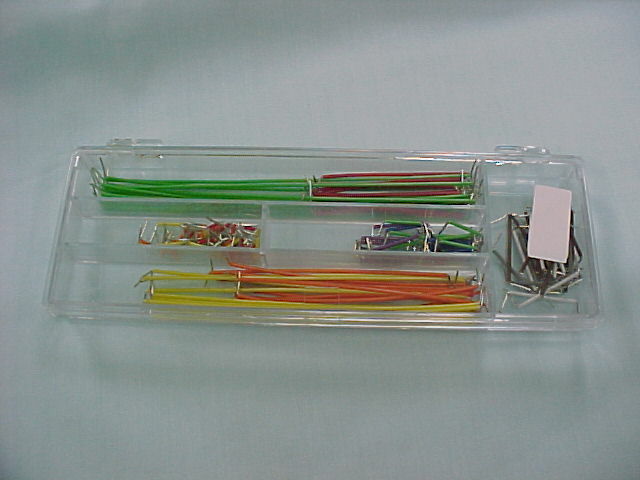 Ten pieces each of fourteen different lengths of insulated 22 AWG solid wire formed in a jumper shape are provided. 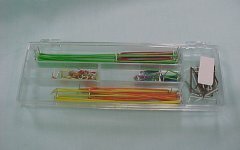 The jumpers provide fast and easy prototyping with the breadboard and are provided in a transparent hard plastic case. 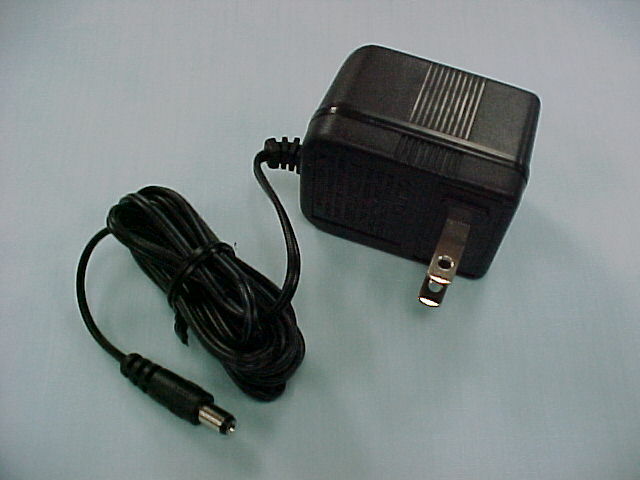 This 120 Vac to 9 Vdc wall-mount power supply (also known as a "wall wart" or "brick") plugs into a standard North American wall outlet and provides power to the QwikFlash board and optional expansion board(s). 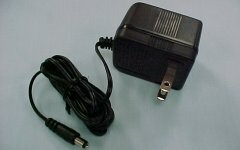 The power supply provides 300 mA of current and connects to the QwikFlash board's CON3 power jack via a six-foot (2,8 m) long cable with a 2.1 mm power plug on the end. Wall-mount 120 Vac to 9 Vdc power supply for North American outlet with 6' (2,8 m) output cable and 2.1 mm power plug. 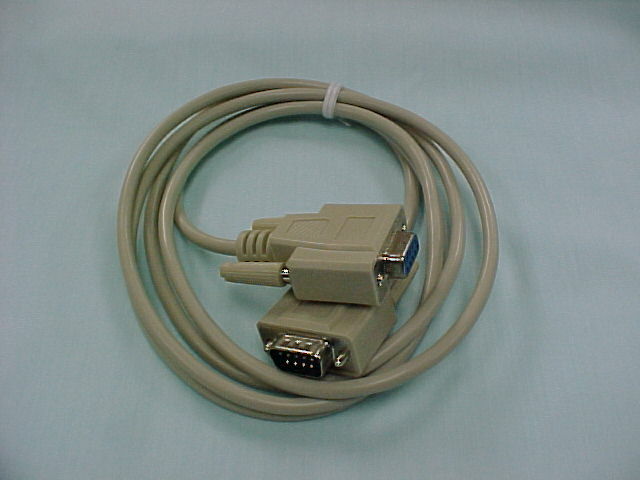 This six-foot (2,8 m) long 9-pin 'D' female to male cable assembly is used to connect a PC's COM port to the QwikFlash board's CON2 RS-232 9-pin 'D' female connector. 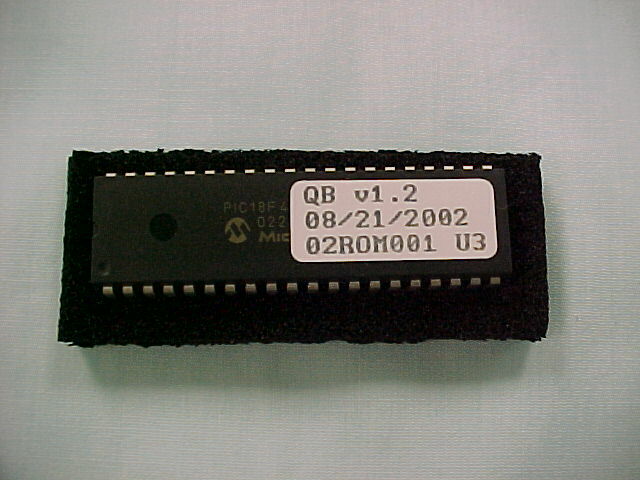 Through this RS-232 communications interface, a terminal emulation program running on the PC can be used to communicate with the QwikBug debugger resident in the PIC microcontroller on the QwikFlash board. Dr. Peatman's 6th book is the text for an upper-level university course on microcontrollers in an electrical or computer engineering curriculum. It examines the workings of the PIC18F452, a powerful member of Microchip's PIC18 microcontroller family, in a "learn by doing" environment that incorporates the QwikFlash development board. The book presents an example course and associated lab projects. MICRODESIGNS no longer stocks Dr. Peatman's book; to order, visit your local bookstore or browse online.